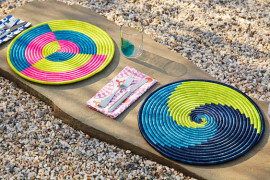 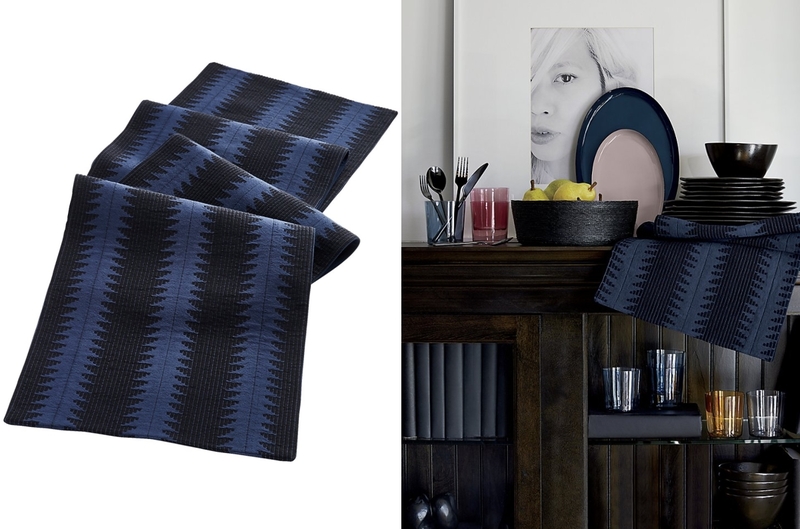 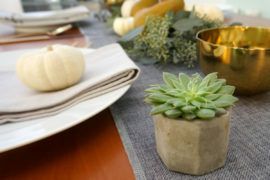 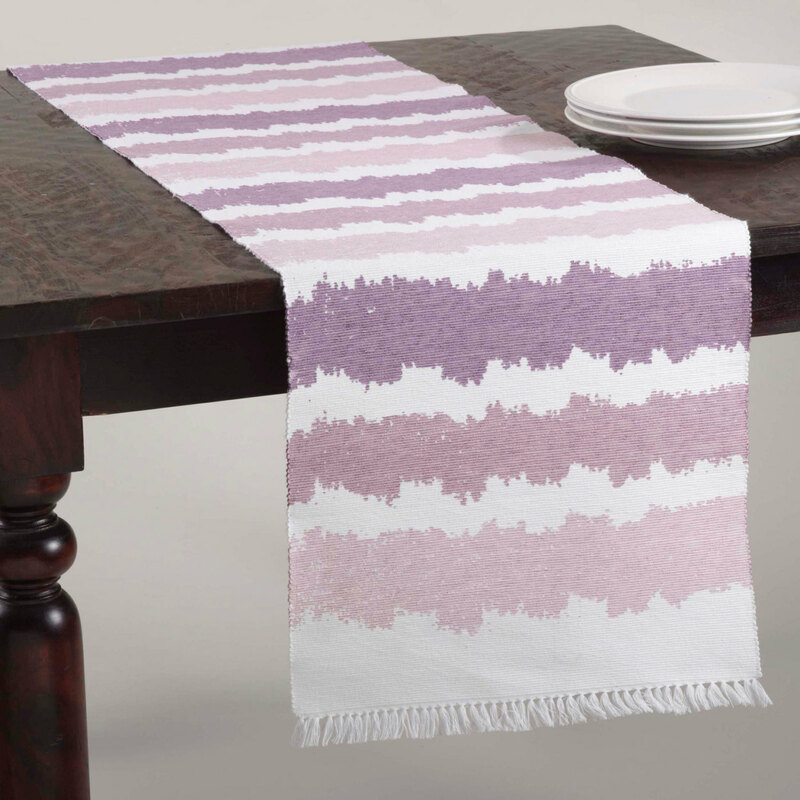 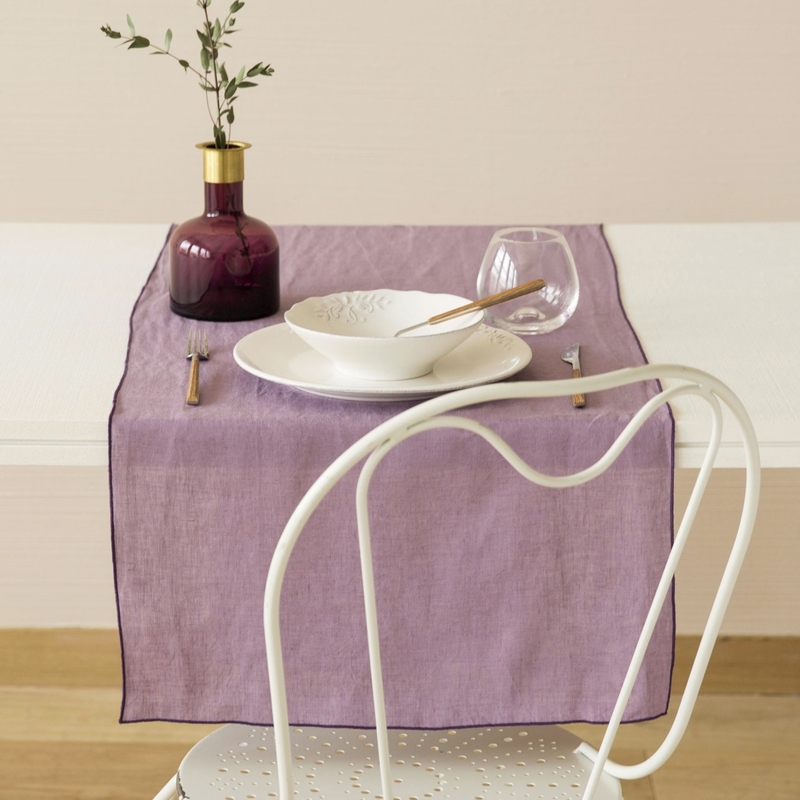 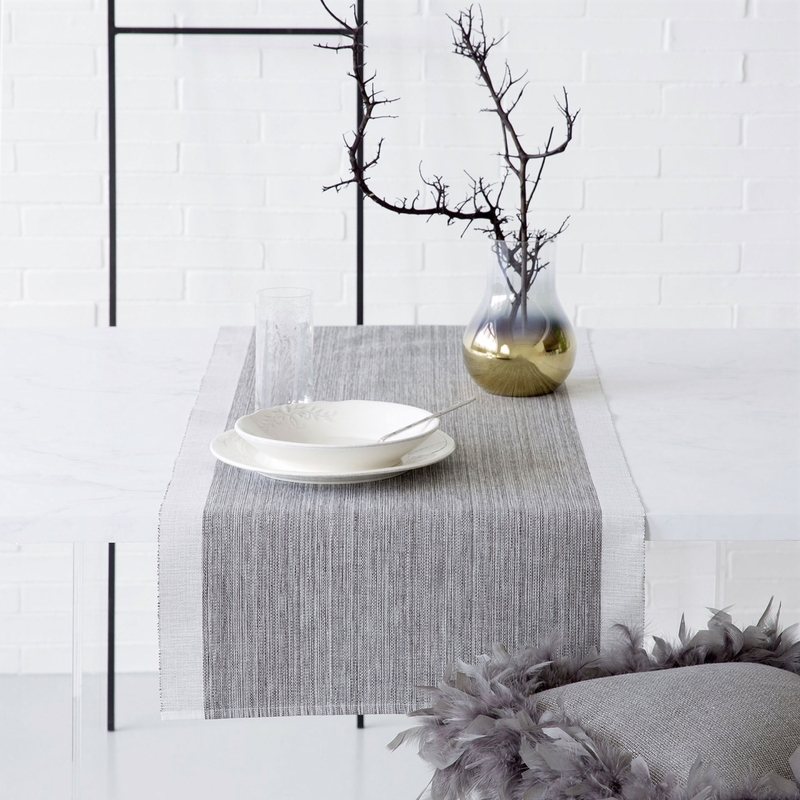 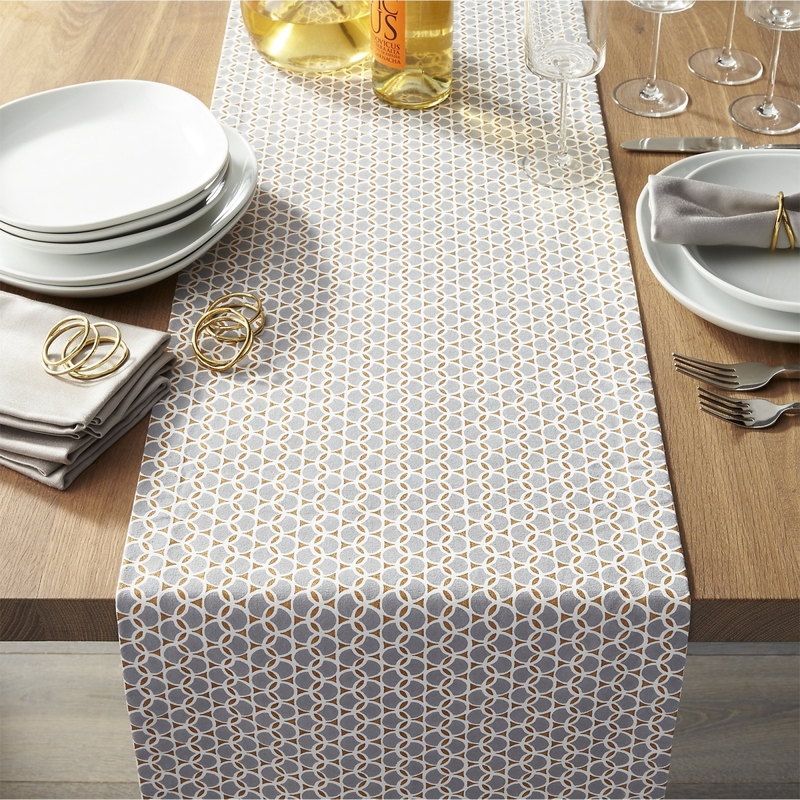 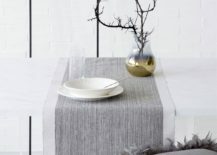 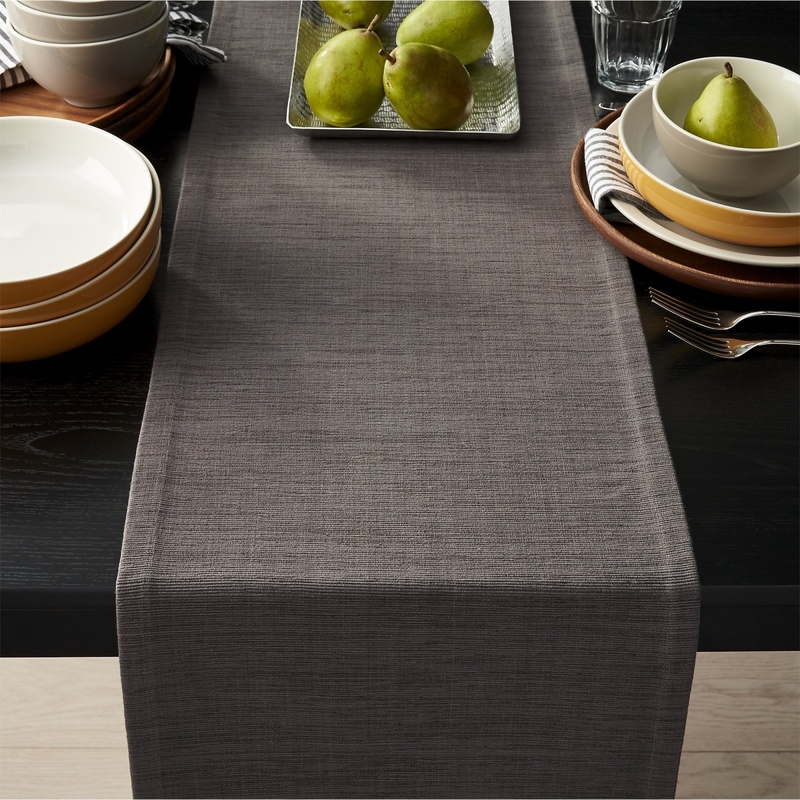 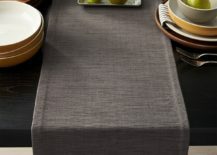 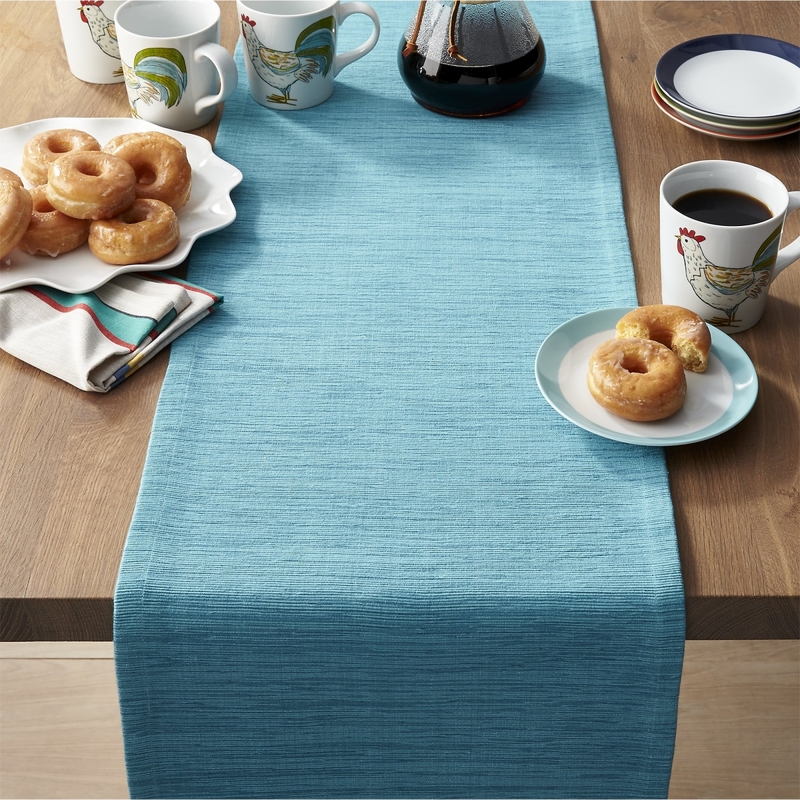 Let’s get started with Crate & Barrel’s Grasscloth Table Runners, available in Ruby Red, Orange, Mustard, Green, Aqua Blue, Corsair Blue, Violet Purple, Brindle Brown, White and Graphite Grey. 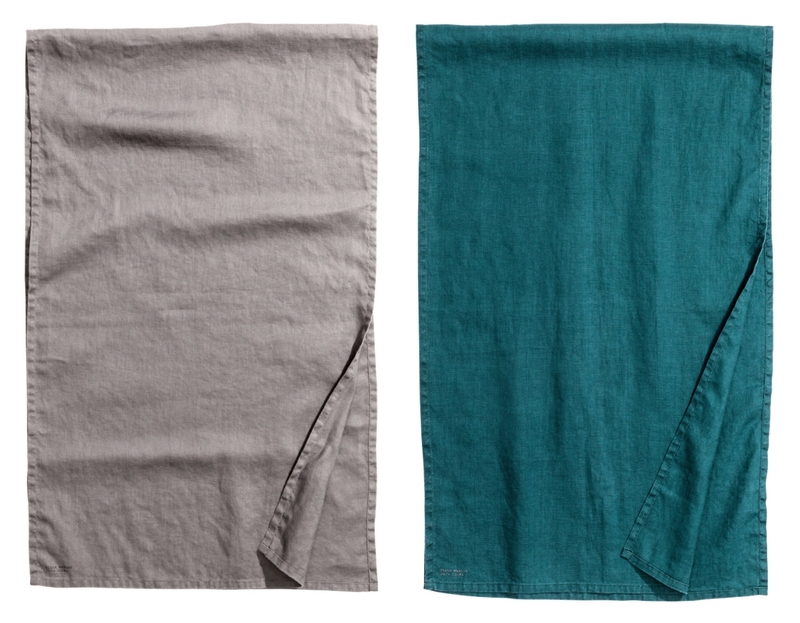 Below we see the Aqua Blue and Graphite Grey selections (can’t wait until the grey is ready to ship in late October!). 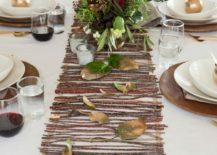 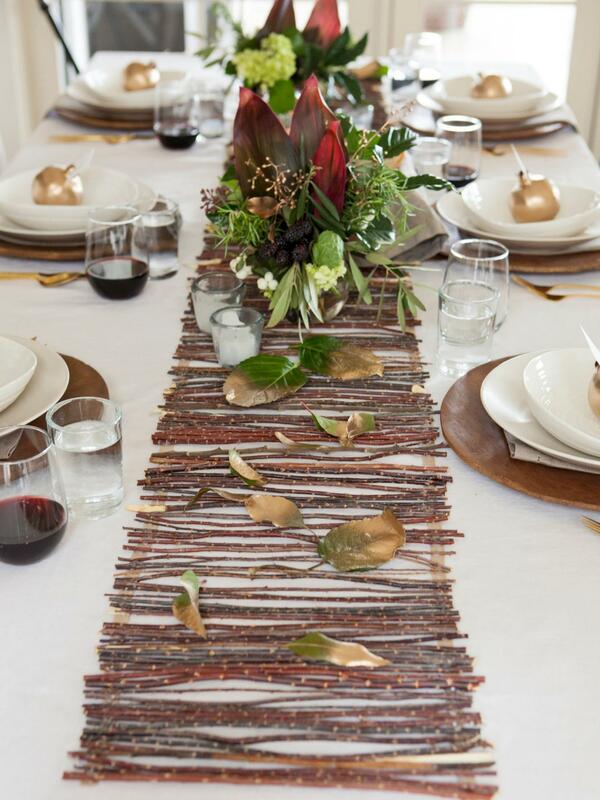 This Gold Jute Table Runner from Crate & Barrel makes a lovely fall statement, and its metallic sheen is also ideal for the holidays! 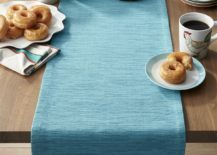 If you were hoping to find a table runner or two featuring this season’s “it” colors, you can thank H&M Home, which offers linen runners in colors that include grey and teal (at a bargain price of $12.99)! 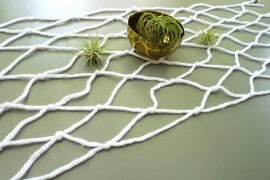 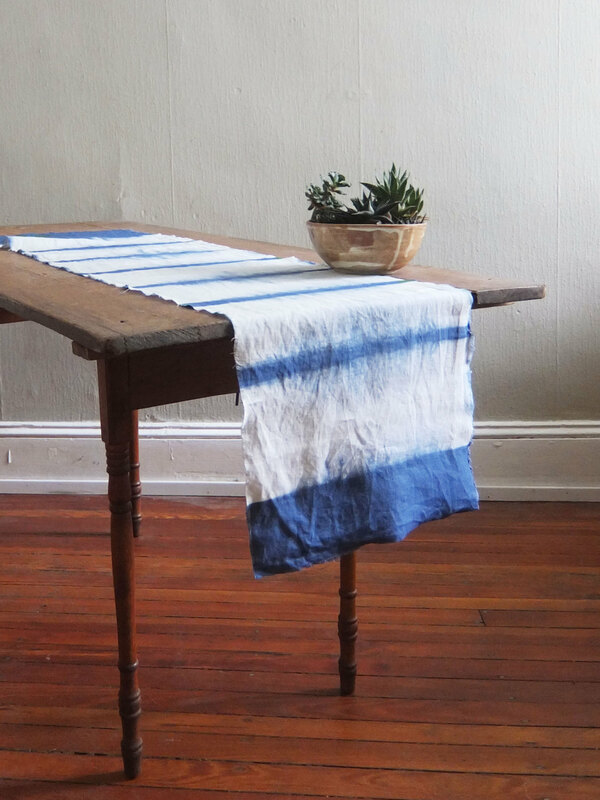 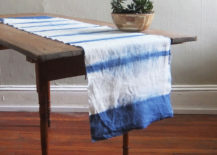 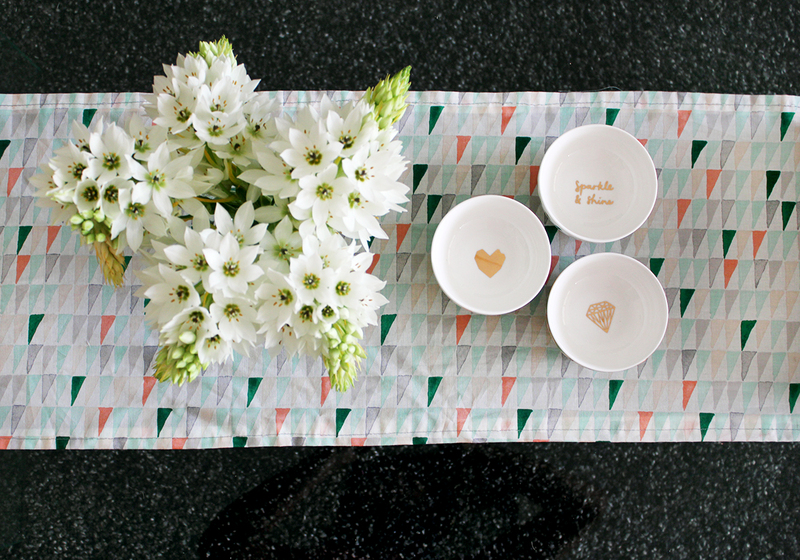 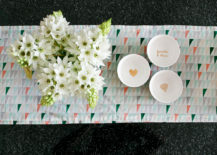 Ombre style is alive and well on this handmade table runner from Etsy shop I Love Craftsy. 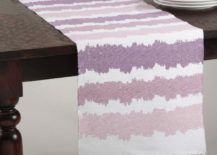 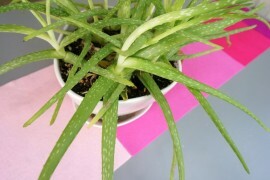 Another reason to love this runner: its bargain price of $16.99! 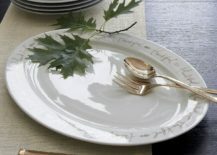 If you prefer rounded forms, check out Bubble, also from Finell. 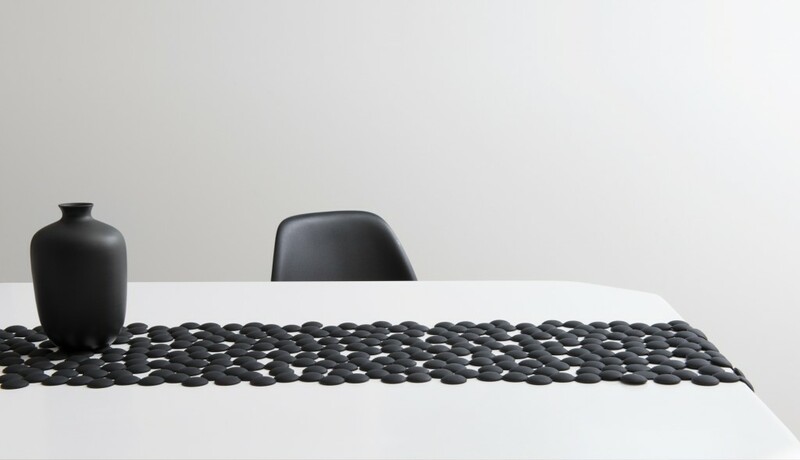 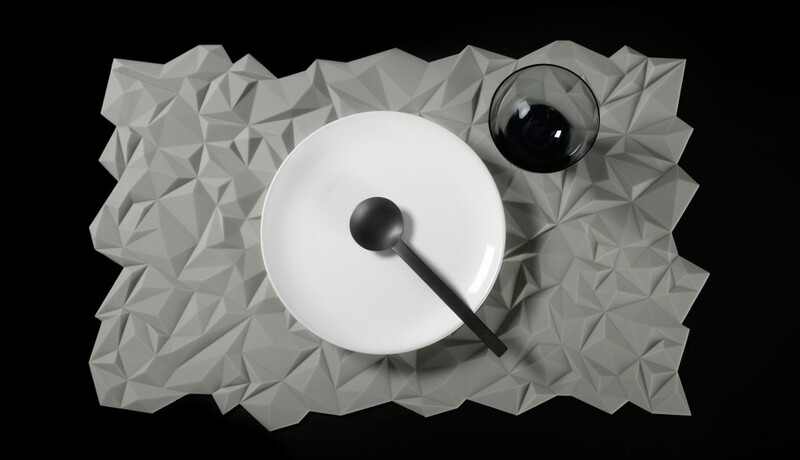 While you can purchase Facet in black, white, gray and red, Bubble is available in black, white, gray and mint. 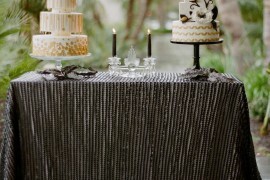 Below we see selections in black and white. 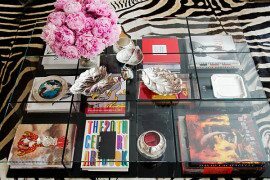 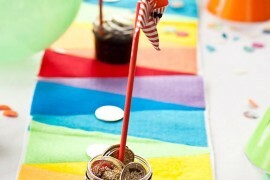 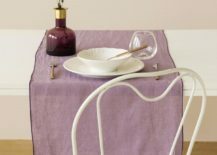 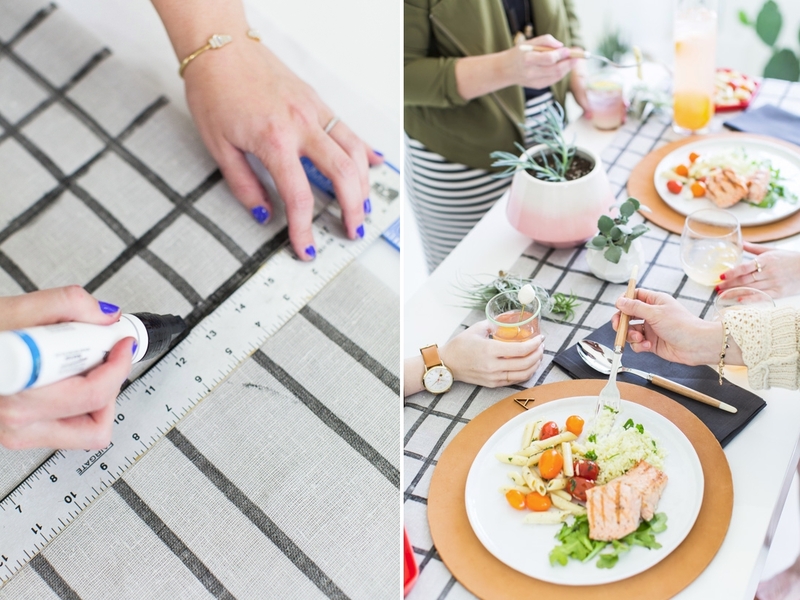 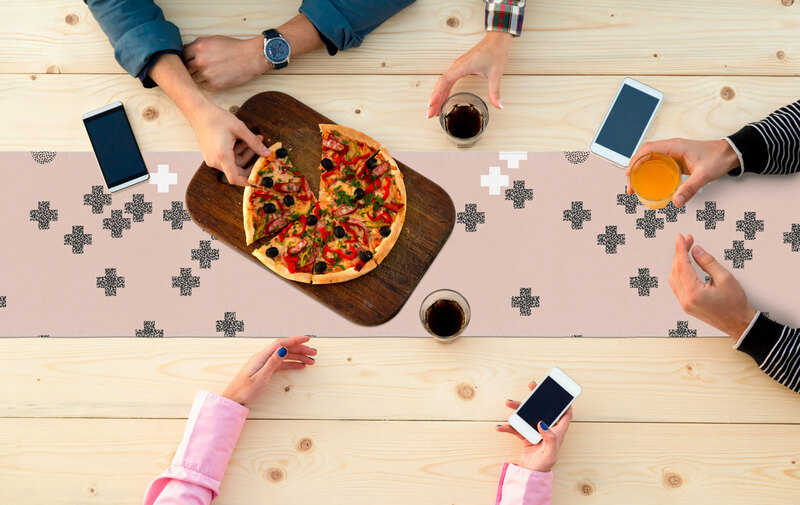 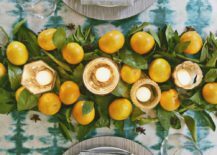 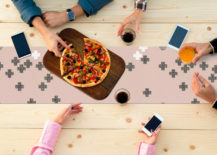 If you’re on the hunt for the perfect table runner, perhaps you found an item (or a creative idea) to pursue in today’s post. 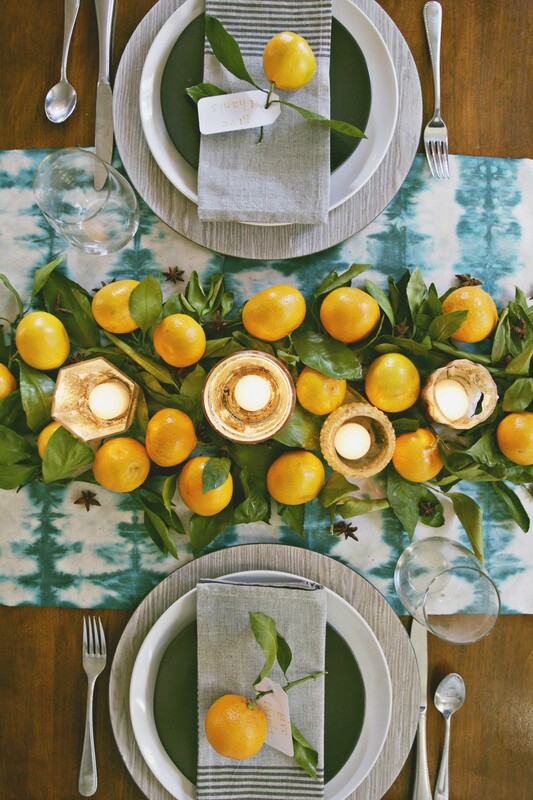 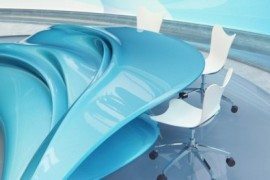 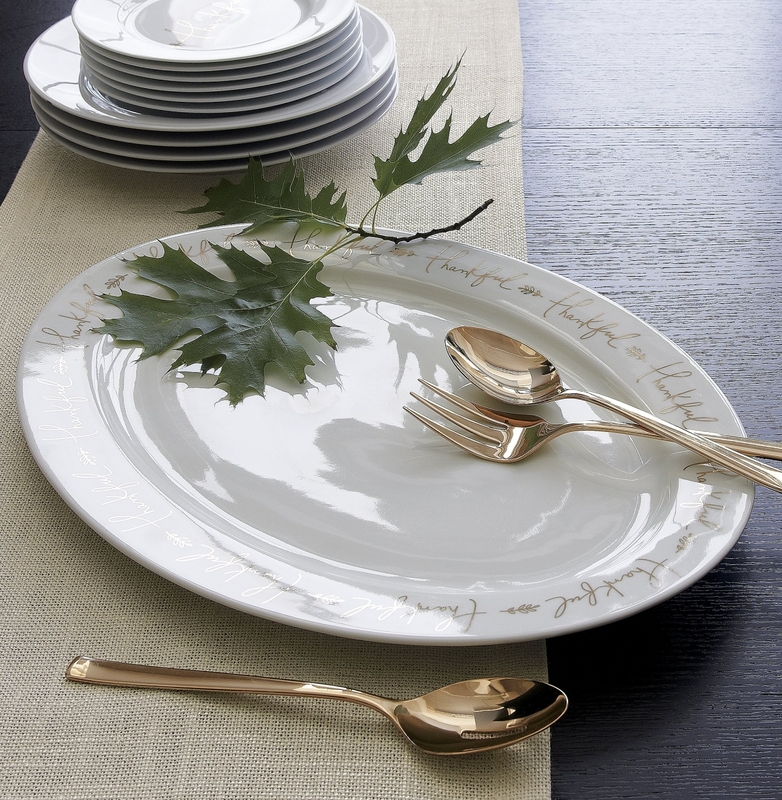 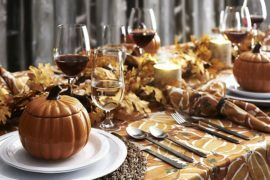 May your table be bountiful and beautifully adorned!